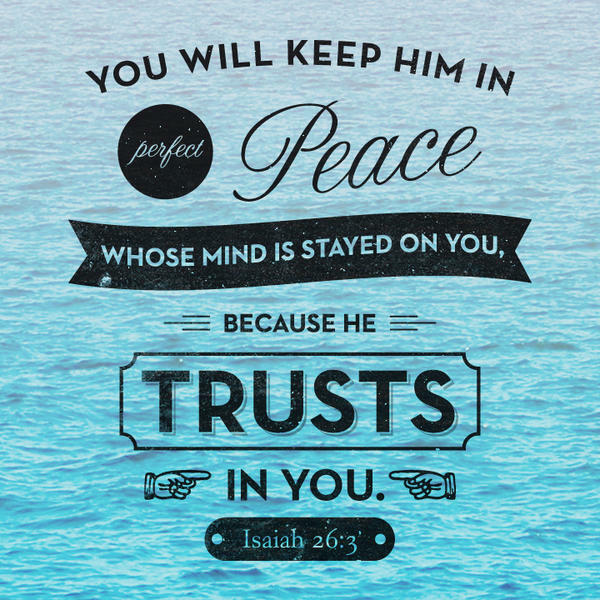 “Thou wilt keep Him in perfect peace, whose mind is stayed on thee: because he trusteth in thee.”( Isaiah 26:3 KJV )!! Peace can Only be found in Jesus Christ, through His Blood He Shed on the Cross for our sins! Please Trust God today He Loves You Through His Loving Son Our Lord and Savior Jesus Christ! !